PRESS RELEASE: In a response to these challenging economic times, C.F. Martin & Co. is proud to announce the return of the highly popular 1 Series acoustic guitars. 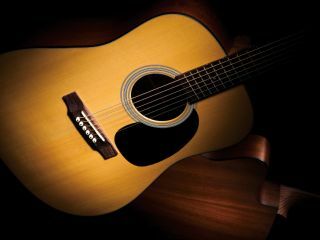 Initially introduced in 1993, the 1 Series is an affordable traditional solid wood guitar in the spirit of the Style 15 and Style 17 models that Martin introduced during The Great Depression. Addressing the concerns of consumers across the world, Martin is making every concerted effort to provide players with an affordable, solid wood bodied guitar, backed by a heritage of over 175 years in skilled building excellence. In addition electric acoustics feature stage-ready Fishman electronics with tone shaping controls and on-board tuner. UK SSP from £999. For UK enquiries contact www.westsidedistribution.com. Chris Martin IV, Chairman and CEO, Martin Guitar: "For over 175 years, C.F. Martin & Co. has survived a wide variety of economic, social and political upheavals. "From the Civil War, through the Roaring 20s, the Great Depression and two World Wars, we have remained steadfast in our vision of creating not only a reliable and trustworthy instrument, but an instrument that has been carefully crafted of the highest quality by dedicated men and women with exceptional skill. "We have always believed the consumer has sought not only the best value for their hard earned money, but the best product from a brand they can trust. This is not only something we at Martin do now, but something we've been doing for six-generations."